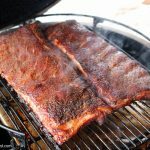 There is nothing more rich and flavorful than smoked pork belly. 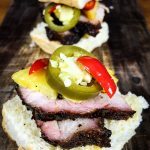 Seasoned and smoked for five hours with oak and cherry wood until melty and tender, topped with freshly grilled pineapple and homemade pickled jalepenos, these smoked pork belly sliders are a great appetizer or the star of an entire meal. My wife loves the paleo version of this slider as a salad with fresh cilantro, picture below. 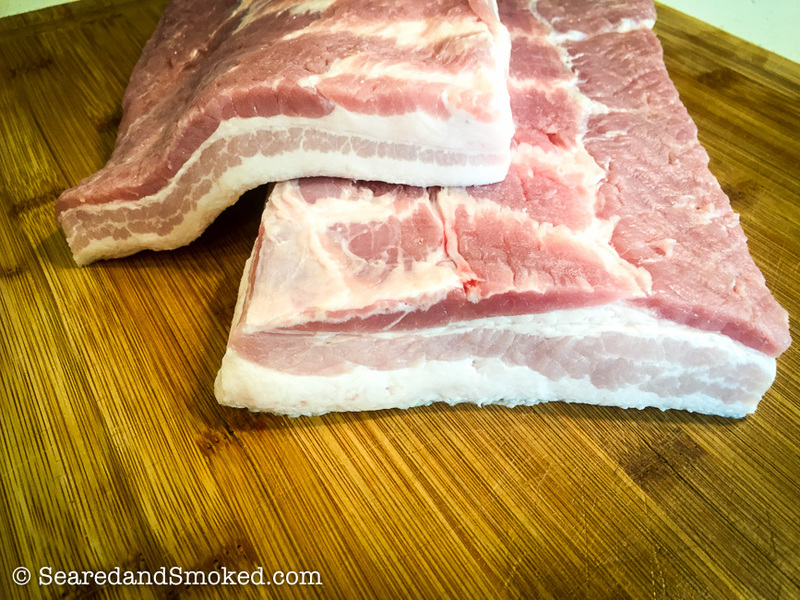 The best part about smoked pork belly, besides the flavor, is how easy it is to prepare. The hardest part is finding a good sized piece of pork belly to work with, depending on where you live. I have found Costo to have a good supply most of the time. You can buy a nice large slab and then cut it down into more manageable pieces and freeze the rest for another day. 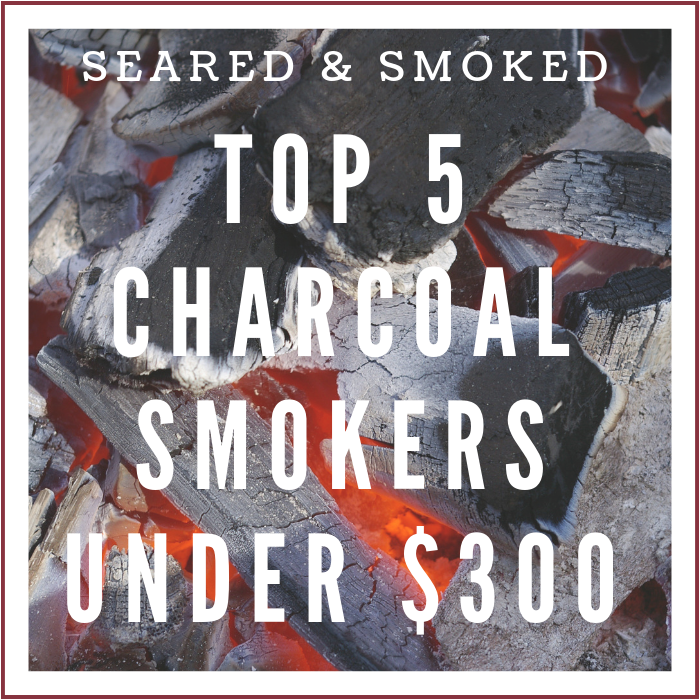 To start the smoke, heat your smoker up to 250 F. I recommend using natural lump charcoal and a combination of Oak wood and a fruit wood, such as cherry or apple. 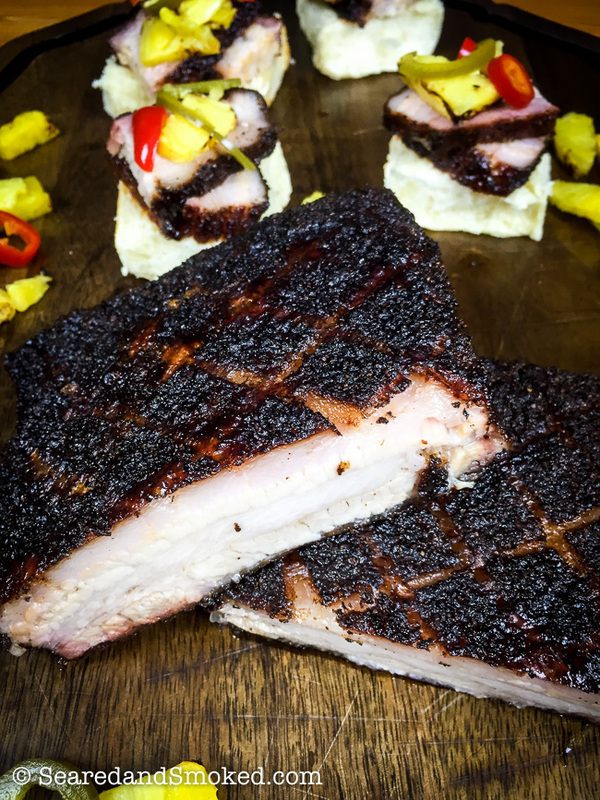 While your smoker is heating up, we can prepare the pork belly. 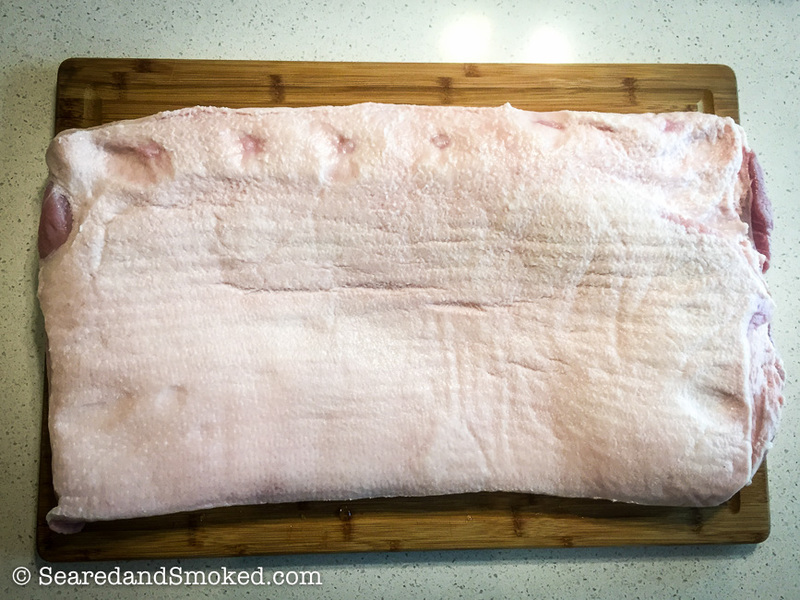 After cut down into smaller pieces, approximately 6″ x 8″ or so, score the fat side of the pork belly with sharp knife. 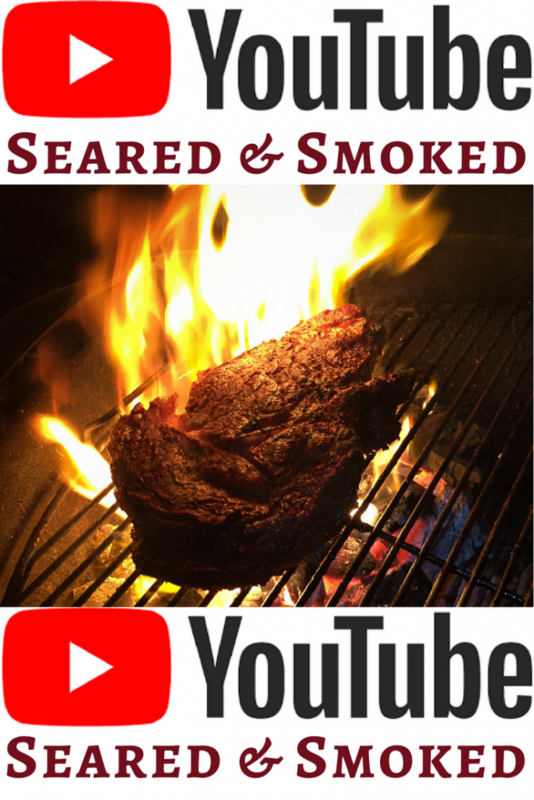 This will help the fat render down when placed in the smoker, and create more surface area for a nice bark to form on the pork belly. 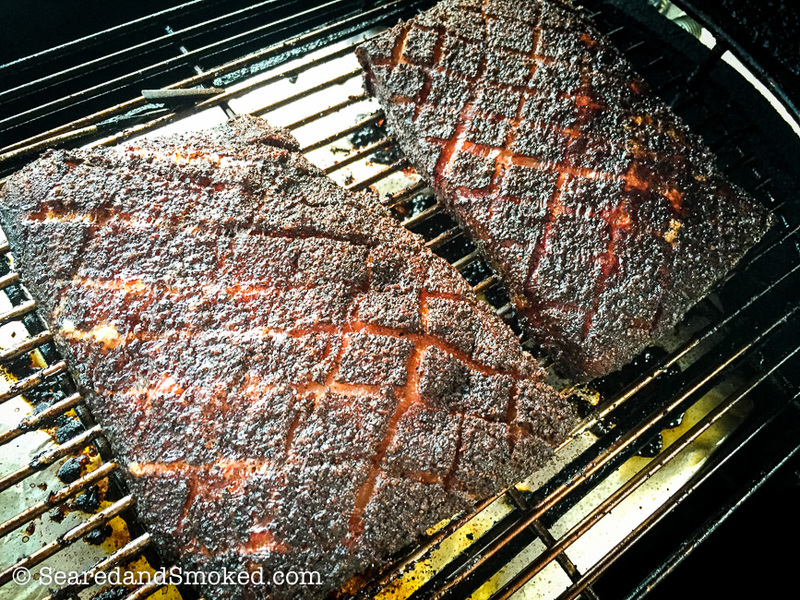 Rub the pork belly generously with the rub, so you have a pretty thick coating on all sides. 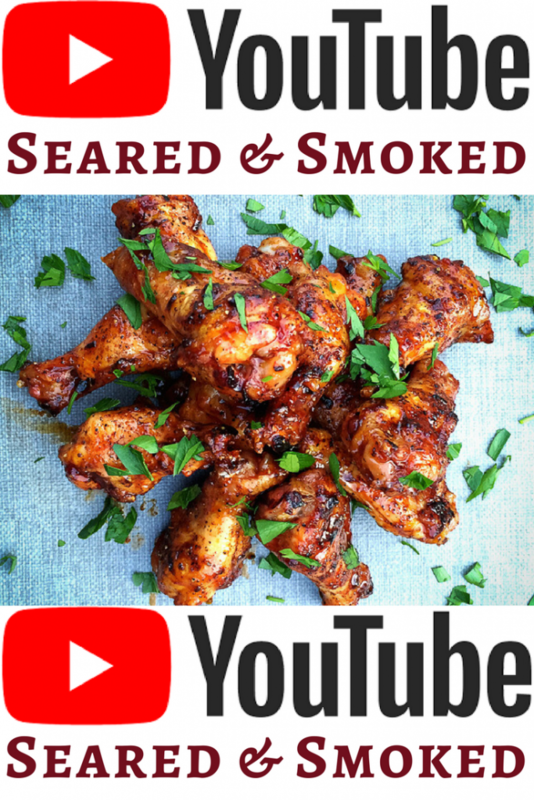 Now you are ready to smoke that sucker for approximately 5 hours at 250 F. I smoke them fat side up. Feel free to experiment with fat side up for down. 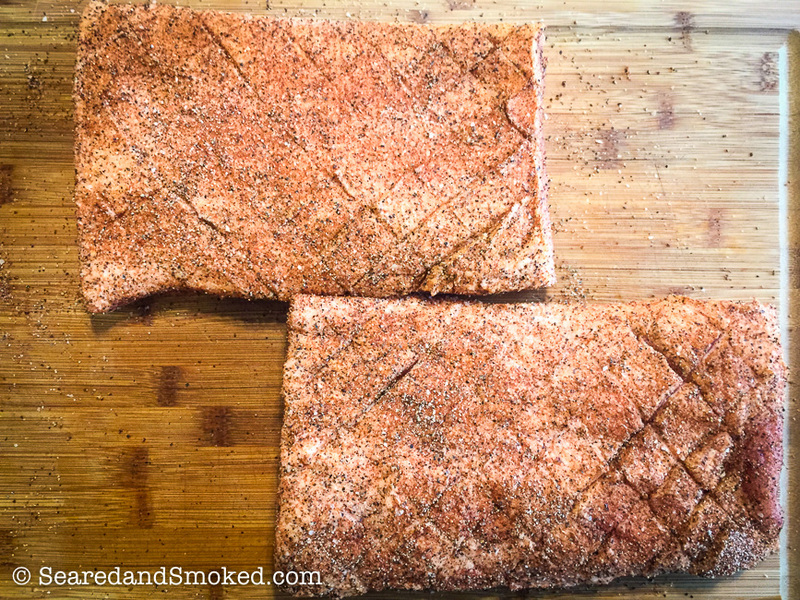 Put them on the smoker and after 3 hours I like to spritz the pork belly with a mixture of 25% apple cider vinegar and 75% water. I do this about every 45 minutes. 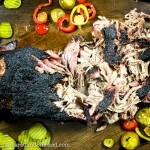 You will notice the pork belly starting do darken up, forming a nice bark. 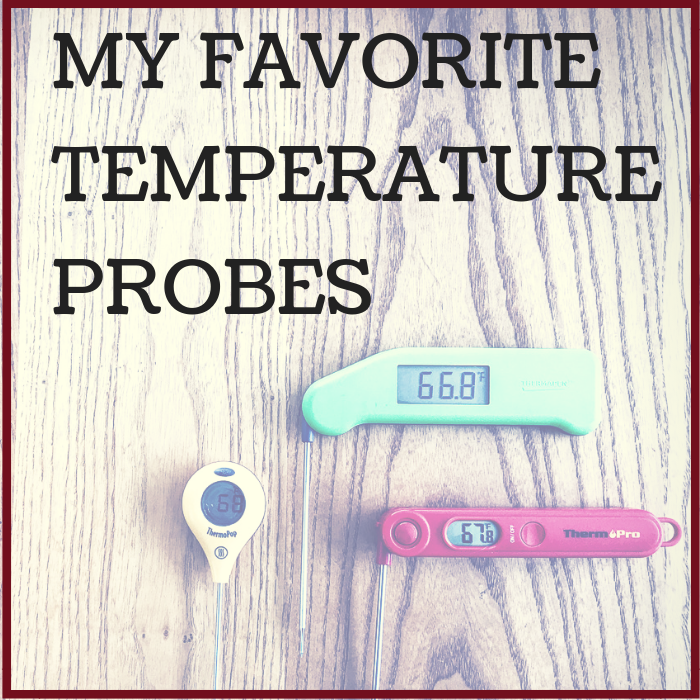 When this happens, start to monitor the internal temperature of the pork belly. I like to take it off at 195 F, then wrap it in foil and let it rest for 45 minutes. 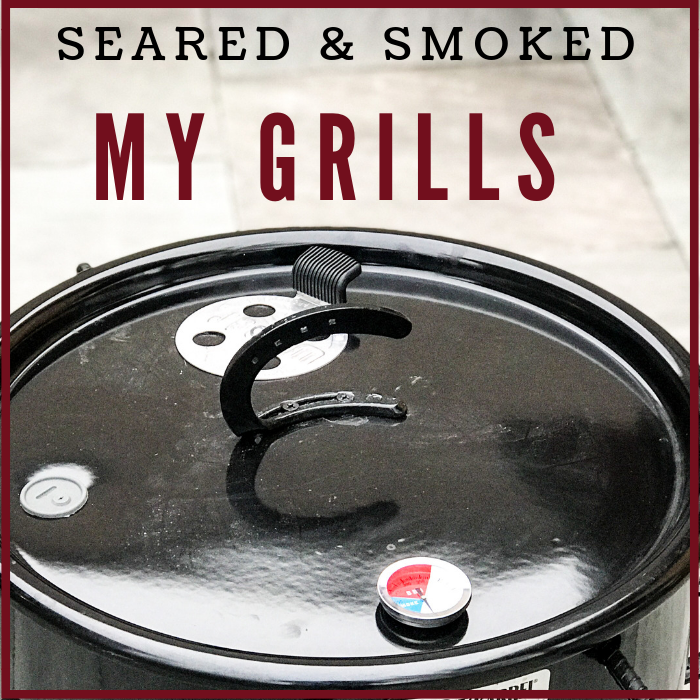 While your pork belly is smoking, you can create your pickled peppers. I used jalepeno and fresno peppers this time. You can use any type of pepper you like, depending on your heat tolerance. Jalepeno and fresno peppers will give you a great color pop and a nice medium level of heat. Slice up 4 jalepenos and 4 fresno peppers. Heat up the water vinegar solution, add salt and sugar, stir it in. 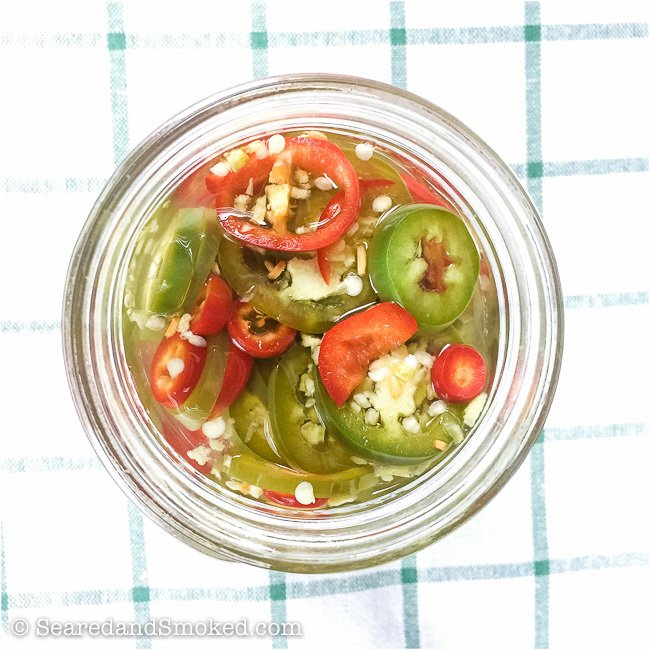 Then pack your peppers in a mason jar and add the hot solution. Then refrigerate for several weeks if needed. I like them best the day you make them. When you take your pork belly off the smoker, slice your pineapple into 6″ long pieces, ready for the grill. 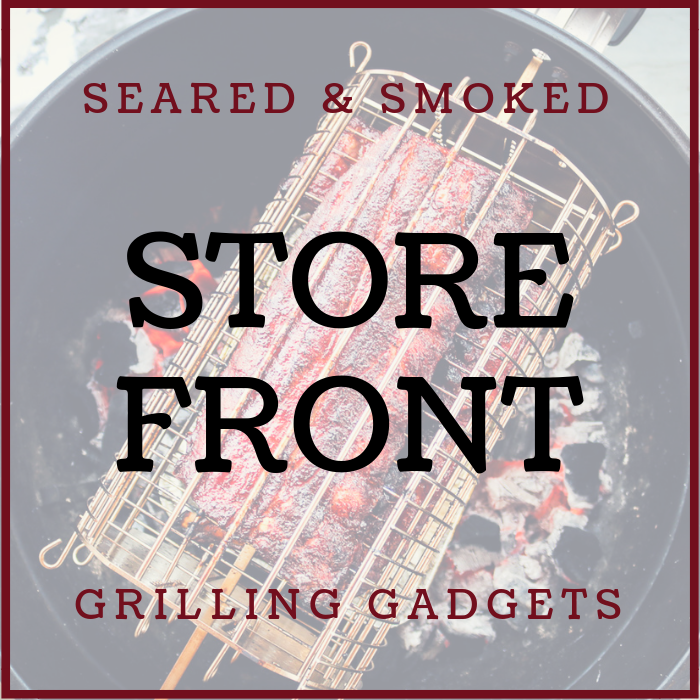 Heat your grill up to 500 F and place over direct heat for a few minutes on each side. Then cut into small slices for your sliders. 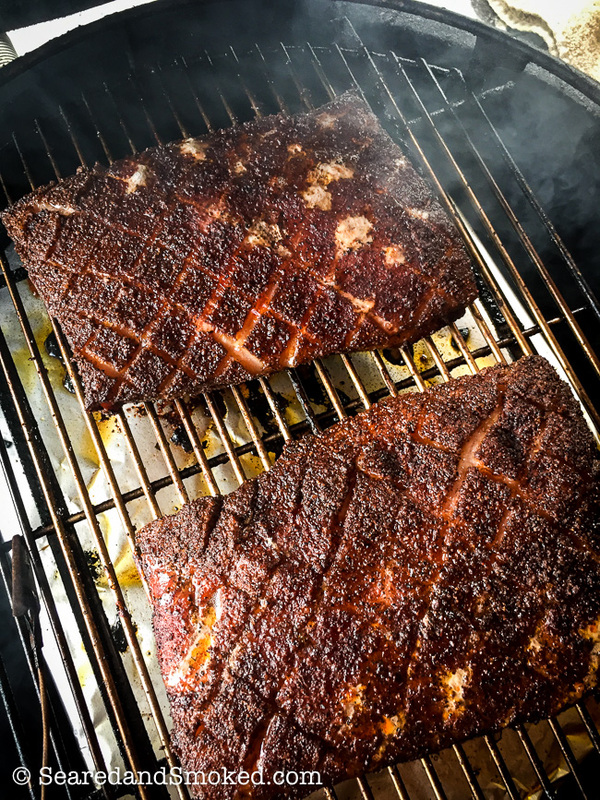 At this point, you are ready to slice up the pork belly and assemble stackable bites of deliciousness. 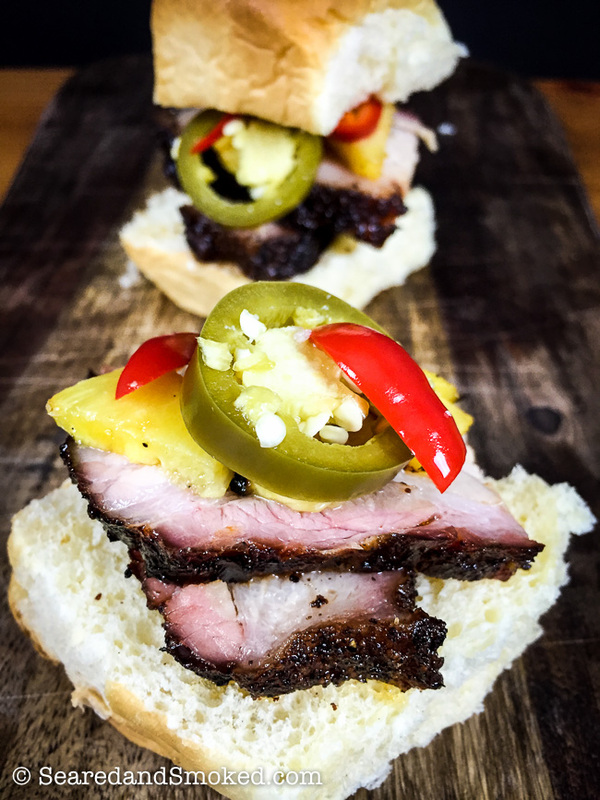 Rubbed with a Bold BBQ Rub, kissed with smoke, and topped off with sweet heat from pineapple and homemade pickled jalapenos, these pork belly sliders are a hit! 3 lb Pork Belly Whole pork belly, skin removed. Sectioned into 3 pieces, approximately 6" x 8". 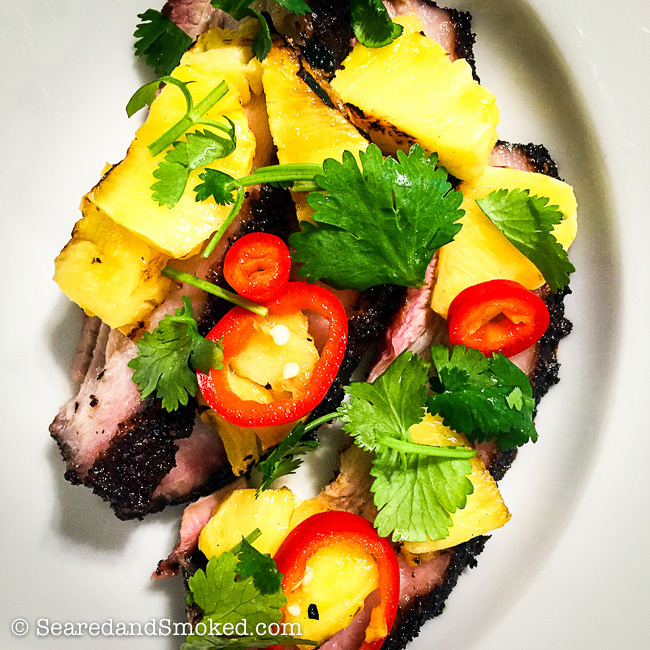 1 Whole Pineapple cored and sliced in chunks about 1" x 4"
Cut pork belly into 6" x 8" sections. Smaller or larger is OK. Larger pieces may take longer to cook. 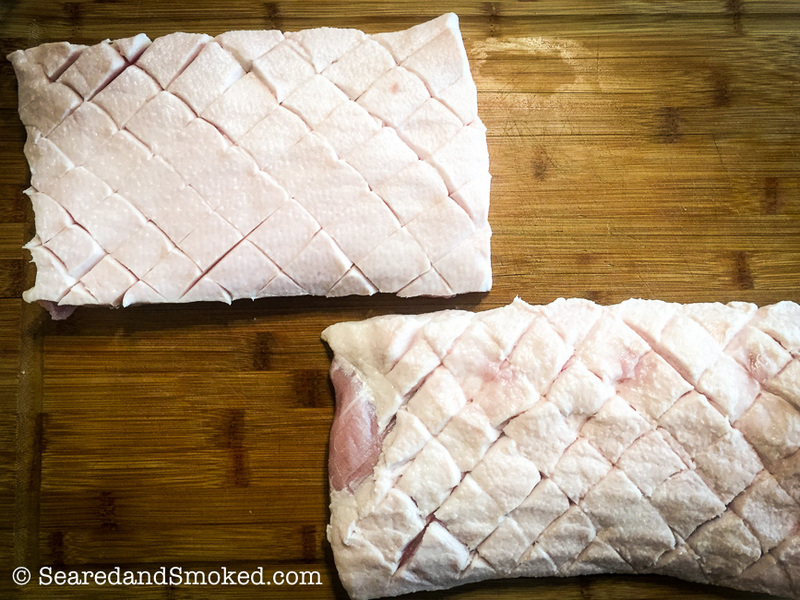 Score the fat side of the pork belly, creating a 3/4" x 3/4" hatch pattern. Season with rub mixture on all sides. 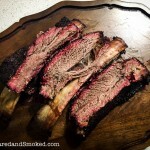 Add several chunks of oak and fruit wood to the smoker and smoke for approximately 5 hrs Total. Spritz with 25% apple cider vinegar and 75% water mixture after 3 hours, every 45 minutes. Check internal temperature when spritzing and take off smoker at 195 F.
Wrap in foil and rest for 45 min. 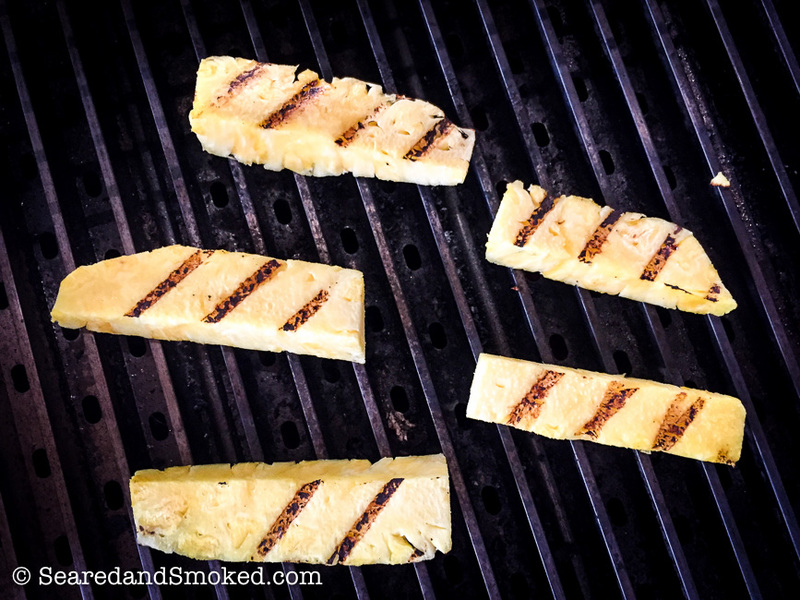 Grill pineapple chunks over high heat for a few minutes on each side. Remove and slice. Heat up the water and vinegar mixture. Stir in salt and sugar. 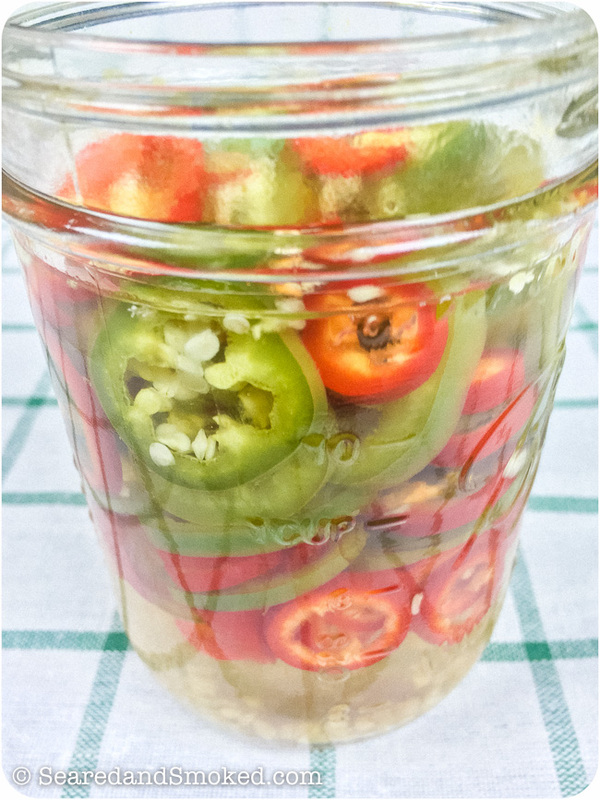 Slice up peppers into 1/4" rings and add to mason jar. Pour hot mixture over the peppers. Refrigerate immediately. 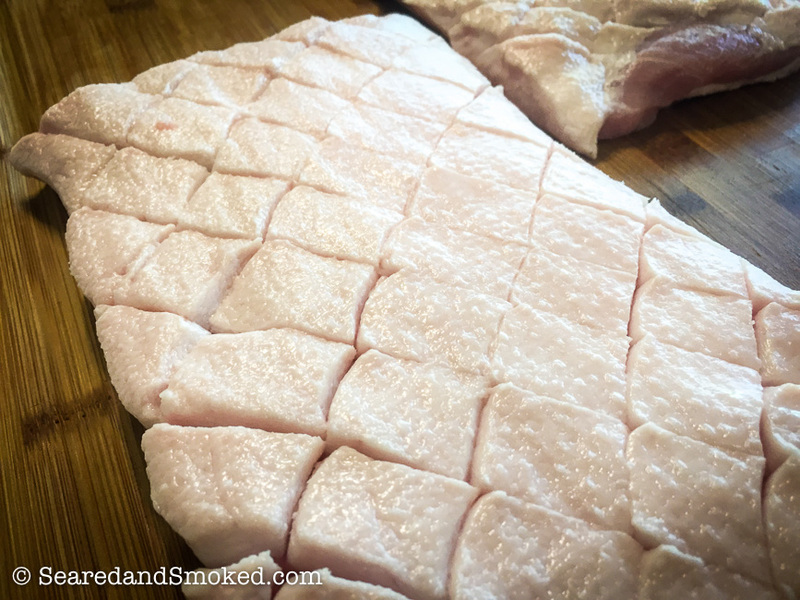 Slice pork belly against the grain into 1/4 - 1/2" slices and cut in half to make stackable sized slices. Stack pork belly, pineapple, and peppers on bakery fresh buns. Add BBQ sauce if you like. I prefer without. A garnish of cilantro is tasty.